Macon Bibb Urban Development Authority – Downtown Macon is open for business! The Urban Development Authority (UDA) is the visionary development body that uses its private resources and public sector position to work collectively and creatively to solve issues that rise with urban revitalization. UDA serves at the intersection of public and private progress for Downtown Macon. Providing resources otherwise unavailable to small businesses, developers and start-ups. Moving ideas into transformational projects for Downtown Macon. Serving as a leading authority in governmental relations between Macon-Bibb and the private business sector. Leveraging one of the largest economic impacts on Downtown Macon. Working collectively with a plane of flexibility that efficiently expedites government process. Behind the best ideas in Downtown Macon, you’ll find the UDA. The UDA’s influence has leveraged Downtown Macon’s largest developments and most game-changing businesses. This includes successfully shepherding these projects from concepts to the financing stage, that would have otherwise been impossible. Now these projects are adding considerable revenue and cultural activity to Macon-Bibb. The initial $5 million invested in the Urban Development Authority has made a $29 million economic impact on Macon since 2013. 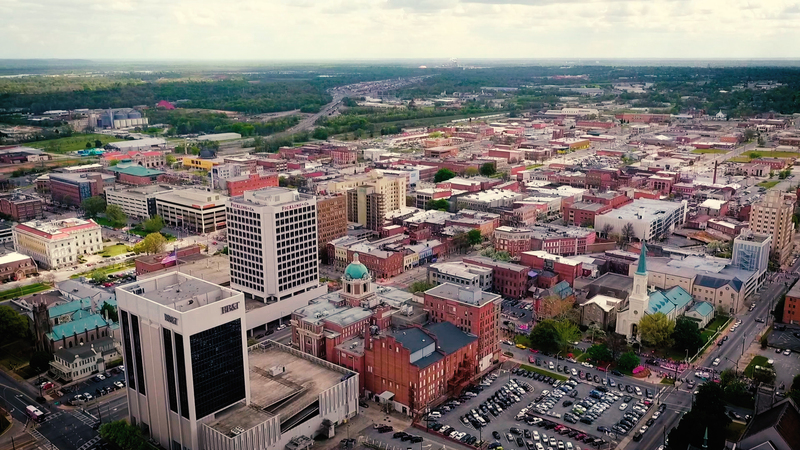 Four years later, $800,000 from this investment has generated an additional $5 million in Downtown Macon investment, created 200 jobs and continues to connect thousands of years of Macon’s history to today’s continued progress.